How Much Should My Child Be Eating? Which Oils and Fats to Use? 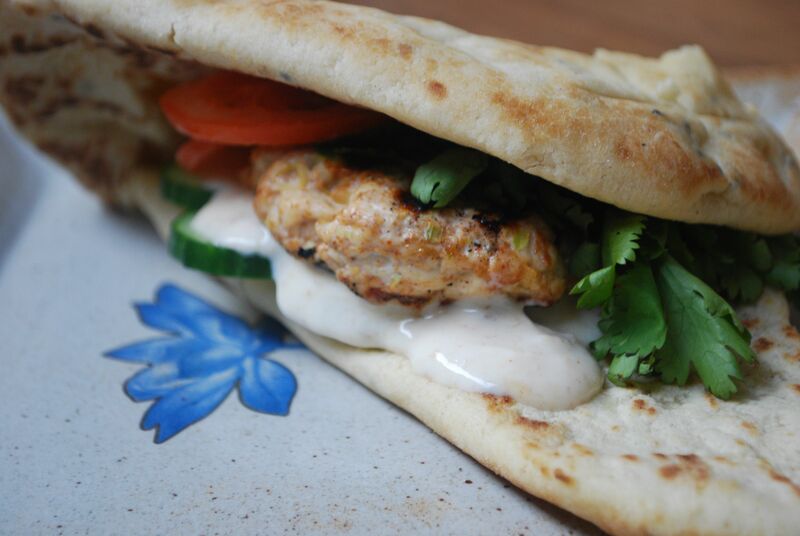 This has to be the simplest and quickest family meal ever – and it’s truly delicious! 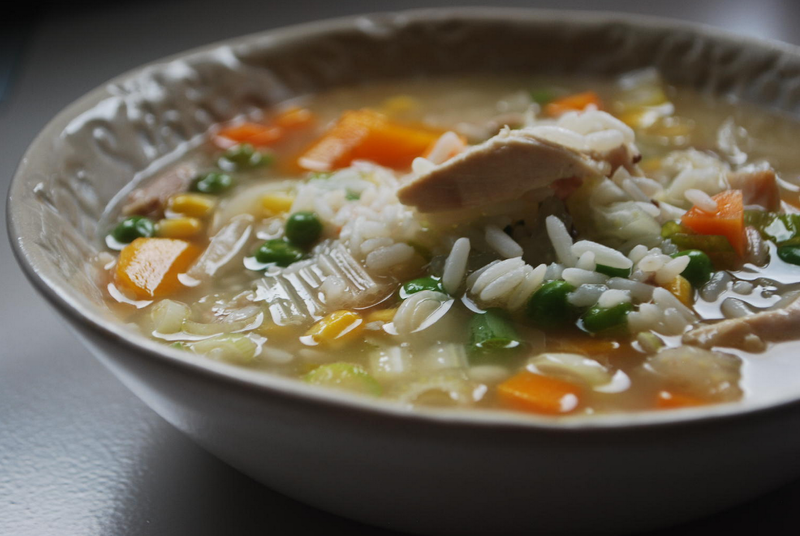 As the chicken is cooked in the stock is takes on an almost confit taste and texture, and becomes a truly melt-in-the-mouth masterpiece that will keep the whole family very happy and healthy. 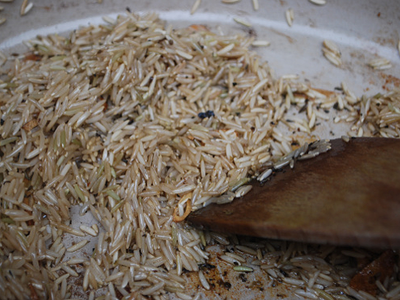 When cooking with rice, always try and use brown rice as white has no nutrients in it and brown is packed full of magnesium, protein, carbohydrates and fibre. You can throw in any green vegetables at the end to steam lightly – broccoli florets, asparagus, mange tout, sugar snaps all would work well. Place a casserole dish (with a well-fitting lid) on a medium to high heat and add some fat (ghee, butter or oil) until it's hot. 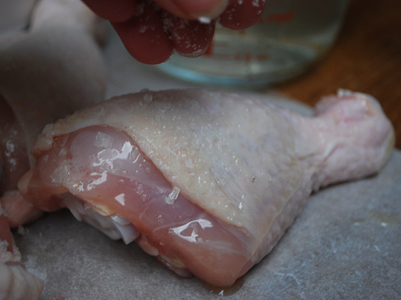 Next, season your chicken pieces with salt and place in the pan. Try not to overcrowd the pan so if you think it's going to be a squeeze do it in batches. Take the pieces out and keep on a plate while you assemble the rest of the dish. Remember at this stage the chicken is not cooked just browned. 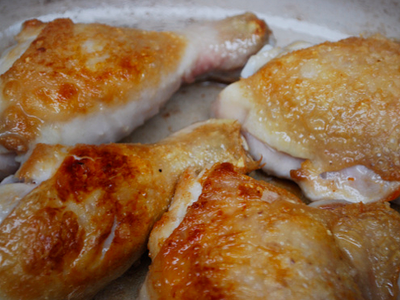 Browning or getting colour equals depth of flavour to your dish. 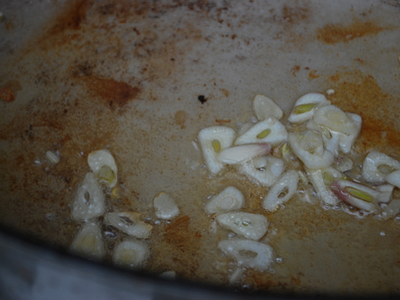 Add your sliced garlic to the pan and gently cook for a few seconds.Add the rice and just stir around to get a light coating of ghee/butter or oil and then add the stock. 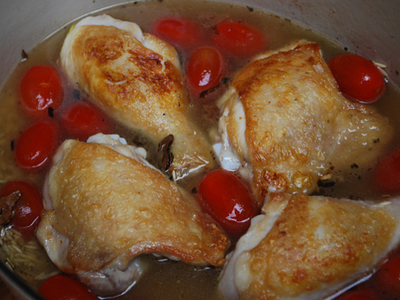 Place the chicken pieces on top of the rice and pop in the tomatoes. Place the lid on top and cook for 30-35 minutes until the rice is cooked but not dry and the chicken cooked through. 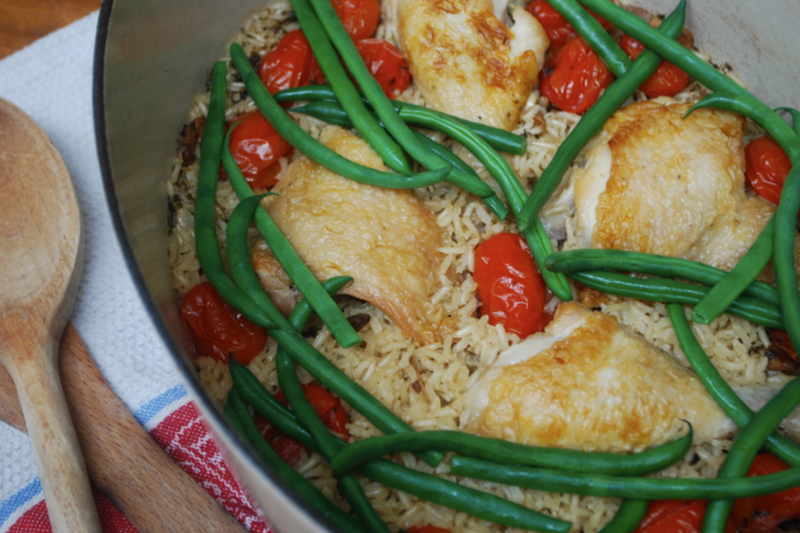 minutes before serving, add your green beans to the pot and pop the lid back on – they will steam cook inside. 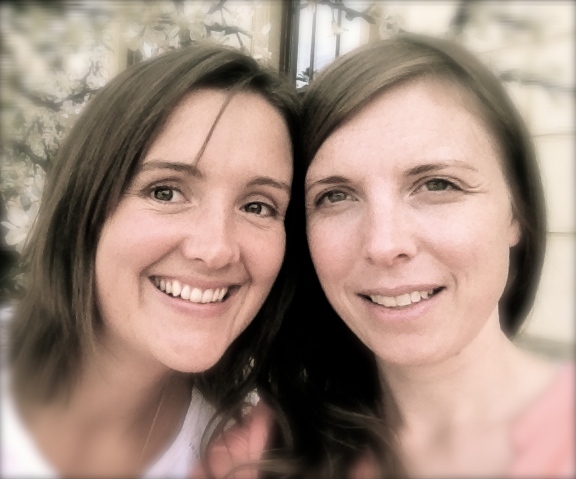 Cooking them Healthy is written by Georgie Soskin and Jo Saunders, a Chef and Nutritional Therapist, who are on a mission to make family meals healthy, nutritious and delicious. Cooking them Healthy was born out of a passion for nutrition and cooking. 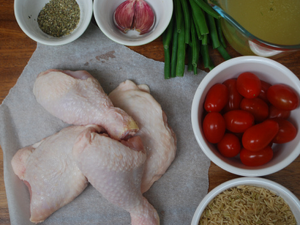 We choose easy-to-find, nourishing ingredients to create quick, uncomplicated and delicious recipes to suit all of the family. We are proud to offer our Supercharged section which focuses on using key nutrients to help support specific health conditions.